The wonderful ground-breaking work of Dr. Edward Bach (1886-1936), doctor and homeopath - and developer of flower therapy, has helped millions of people in uplifting the mood, improving emotional well-being and quality of life. This has also inspired Frantsila to use Finnish wildflowers to bring their harmonizing effects to the reach of everyone. The Finnish flowers' efficacy and healing properties have been widely studied in Finland Since 1983. The joint effort of several Bach Flower Therapists, a special flower remedy research group and Frantsila Organic Herb Farm product developers, resulted in a selection of 24 flowers. Finnish Flower Remedies are manufactured following Dr. Bach's guidelines, using flowering plants found in Finnish nature. Each flower has its own characteristics and specific effects. Flower Remedies are generally balancing and mood uplifting and work on all levels of the psyche; balancing negative feelings and negative states of mind but also strengthening positive emotional states. 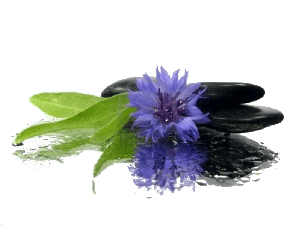 Flower Remedies also care comprehensively for the whole being. They can be of great help, either used alone or as support to other treatments. The body is like a mirror that shows how we are doing internally. A dissatisfied or depressed mind can weaken the immune system and increase the risk of getting ill. Constant muscle tension or pain may tell us that the body is beginning to bear something for us that was, or is, easier to suppress than to experience and express. Flower Remedies are safe. No side effects have been observed during their use. Familiarize yourself with the described effects of the different flowers and choose the most suitable flowers for yourself and your loved ones. Focus preferably on one or just a few flowers at a time. The flower essence can be used as such or a solution can be made following the instructions below, especially when using a combination of different flowers. Use the Flower Remedy on a regular basis and make yourself a target in creating a happier life. The 10 ml Flower Essence bottle will remain good for almost 10 years. When making a solution by diluting Flower Essences with sprig water, solution pipette bottles of 30 ml available, the preservation is only a couple of weeks. You can improve the solution stability by adding 1-2 table spoons (5ml) of alcohol per 30ml bottle. In one 10 ml Flower Essence bottle there is enough material to make tens of solution bottles. The Frantsila Finnish Flower Essences can be used pure directly from the 10 ml Flower Essence bottle or as a solution where a few pure drops are mixed in spring water. Add 1 to 2 drops of pure Flower Essence in a glass of water and enjoy in small sips throughout the day. Make a solution by diluting one or more Flower Essences by adding 2 drops of each into a 30 ml bottle of pure spring water. Take 2 to 4 drops of the solution in a small amount of water 2 to 4 times a day for a few weeks or as needed. However, reduce the dose if you if you think you react too strongly. For children the number of drops can be reduced to 1 to 2 drops at a time. Take one drop of one or several pure Flower Essences (Frantsila 10 ml bottle) directly into your mouth, or mixed in a small amount of water. Applied on skin : apply a drop of flower essence directly on for example wrist, neck or selected acupuncture points. Add a drop into massage oil or body lotion. Bath : 1 to 2 drops of pure flower essence in your bath to enjoy the effects (6 to 12 drops of diluted flower essence solution). 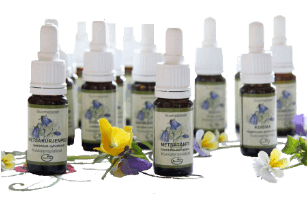 You can also use the Flower Remedies for pets and domestic animals. Give 1-4 drops 2-4 times a day, depending on size and sensitivity. The positive statement and motto linked with each flower essence, gives a positive impulse to the subconscious mind. Think of the positive statement when you use the Flower Remedy. You can remind yourself throughout the day by repeating the positive statement in your mind, or by displaying the sentence in a prominent place. This will positively affect your subconscious. Choose your flower remedy by reading about the effects of the 24 Finnish Wild Flower Essences here. there is a perfect herb. seek the strength of a flower ..." - Sirkku Lehto.